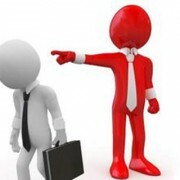 CHICAGO, June 20, 2014 /PRNewswire/ – A bad boss is a classic cause of grief at the workplace, but just how common are they? According to a new CareerBuilder survey, a majority of workers think their boss is doing an above-average job. Asked to evaluate their bosses’ performance, more than 6 in 10 (63 percent) U.S. workers say their manager deserves an “A” or a “B” while 1 in 7 would assign a “D” or “F” (14 percent). The nationwide survey was conducted online by Harris Poll on behalf of CareerBuilder from February 10 to March 4, 2014, and included a representative sample of 3,022 full-time, private sector workers across industries and company sizes. Grades appear to be aligned with bosses’ communication and management styles. Workers who interact more frequently with their bosses tend to rate their performance better than those who keep their distance. Thirty-one percent of workers who interact several times a day in person with their boss assign them an “A” compared to just 17 percent of workers who interact with their boss once a day or less. The study also showed a correlation between positive ratings of bosses and open communication even if that communication doesn’t take place in person. Twenty-five percent of workers say their boss typically communicates with them via text or instant message. Of those employees, 30 percent assign an “A” to their boss’s performance. There is one way, however, bosses can quickly lose workers’ trust: giving tasks well outside the job description. Twenty-two percent of employees say their current boss asks them do things unrelated to their jobs, and unsurprisingly, 51 percent of those employees give their bosses grades of “C” or worse.